Hazard: The four suction cups on the underside of the rugs can fail to prevent slipping, posing a fall hazard to the user. Consumers should immediately stop using the recalled shower rugs and contact Tristar for instructions on how to dispose of the rugs and to obtain a free replacement rug. Consumer Contact: Tristar Products toll-free at 888-770-7125 from 7 a.m. to 6 p.m. CT Monday through Friday, or visit the firm’s website at www.tristarproductsinc.com and click on “Aqua Rug Recall” for more information. Description: This recall involves Aqua Rugs with four plastic suction cups. The rugs are intended to provide a slip-resistant surface in the shower or bathtub. 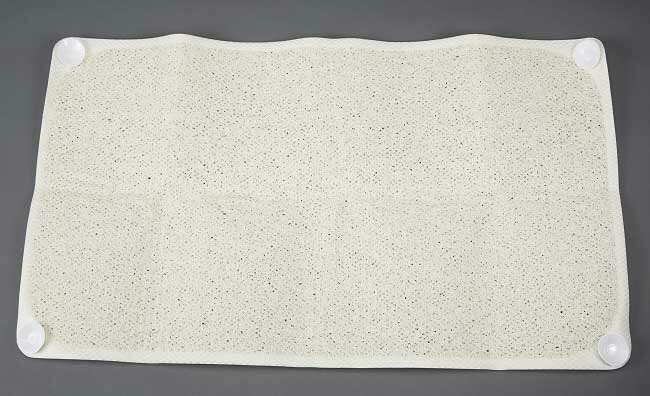 The rugs were sold in beige and clear, and in two sizes: 29.5 inches by 17.25 inches for use in the bathtub, and 21.75 inches by 19.75 inches for use in a shower stall. The rugs have a plastic border and only four plastic suction cups, one affixed to the underside of each corner of the rug. “AquaRug” and “As Seen On TV” are printed on the front of the cardboard packaging. 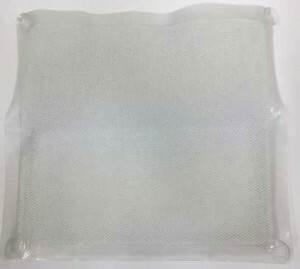 Incidents/Injuries: Tristar has received 60 reports of consumers falling in the shower or bathtub while on the recalled four suction cup rugs, including 30 reports of injuries such as bruises, cuts, and fractured or broken bones. Sold at: Bed Bath & Beyond, Dollar General and other retail stores nationwide, online at Amazon.com and BuyAquaRug.com, by Tristar through direct response television commercials, and through a live television show on QVC, from July 2012 to September 2015 for between $18 and $28. Importer: Tristar Products Inc., of Fairfield, N.J.
Picture of the rug were taken and sent to you several weeks ago. I have not received a replacement as of 3-20-2016.Please send one. Hi Charles, please be aware that we are simply an informational site and are in no way responsible for replacing/repairing/etc. any recalled product noted on our site. These recalls are listed solely for our readers’ convenience, as they are all related to plumbing in some way. If you have a recalled product that you need assistance with, please utilize the Consumer Contact information listed for the product, or contact the CPSC Consumer Hotline (their information is listed at the bottom of every recall notice). We hope this problem gets resolved quickly for you. Thank you for reading! I bought the AquaRug several months ago. I have mixed feelings about it. The box stated that it wouldn’t stick on a textured tub. I have a textured tub. I have neuropathy in my feet from diabetes. When I “carefully” stepped on the rug, it felt wonderful on my hurting feet. I sit on a shower http://perfectshowerhead.com/ stool, so that helped the rug from moving around while I sat there scrubbing my feet back and forth on it. I would even turn my feet kind of on the sides, and then on the heels, and scrub the hard, dry skin off. It started looking discolored on the sides. It was slimy underneath, and no matter what I try, I can’t get it clean. I received an email in January 2016 concerning a recall on AquaRug from Tristar. Since I had purchased two of them, I followed the directions in the email for cutting them up, photographing them, and sending the pictures to Tristar via the internet as stated! I sent it on February 24, 2016. As I wanted to make sure they received the pictures, I called them and they assured me that they had received them. Today, October 7, 2016, I called them as I had not received the bath mats. They told me that they hadn’t received the pictures and could I send them again!! I told her that I wasn’t sure I still had them on my computer since it had been so long, and that they should have contacted me if the pictures hadn’t come through! Taking into consideration that they first told me that the pictures HAD come through, I felt it was definitely their mistake! Since, during this time, I had to purchase new bath mats for safety reasons, I asked if I could just get a refund considering how long it had been since I responded to the recall. Of course, they informed me that they don’t do refunds, only replacements (which they hadn’t done)!! The woman that I talked with today said she would refer this situation to her manager, and see if they could send the mats without the pictures. We’ll see!! I will NEVER order anything from Tristar again. I can’t believe that a company that operates in this manner manages to stay in business. Very disappointed! !